It's a new year, it's a new you, and it's time to get healthy. What better way to start on your journey to health than with drinking more water. That is definitely one of our goals here! 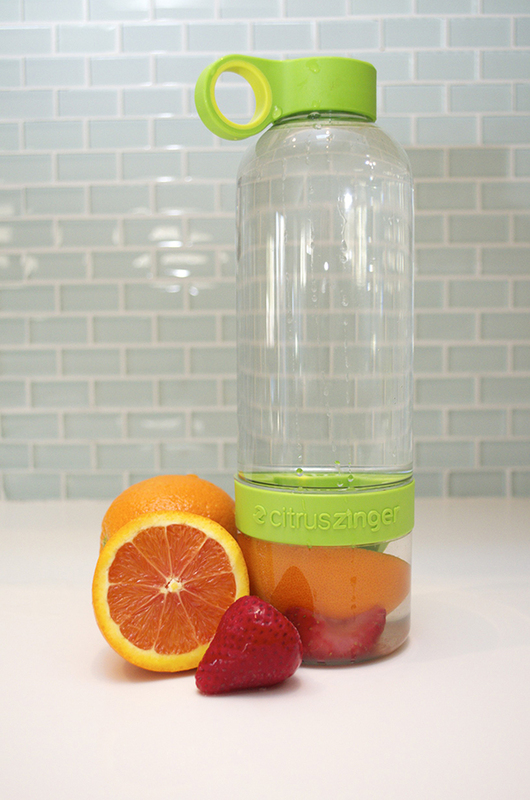 We are so excited to have found these new types of water bottles from Zing Anything. 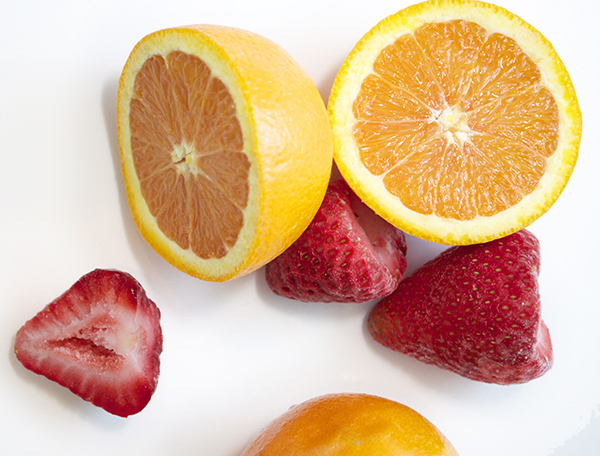 They makes drinking more fun by infusing your water with natural flavors (like real ones...from actual fruit!). 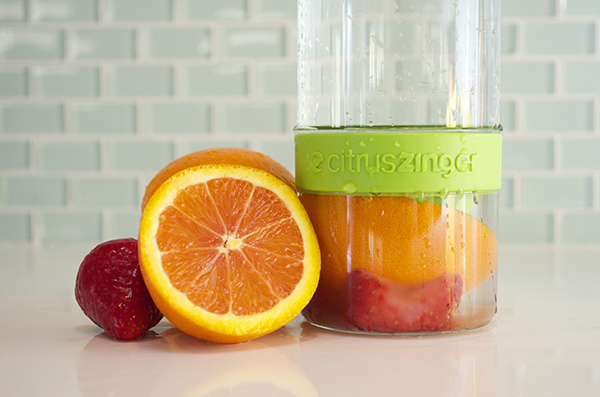 We decided to test the Citrus Zinger. All you do is take a citrus fruit and press it into the reamer. For an added surprise we added some strawberries. Then you just add water and ice and swirl around to distribute the flavors. The flavor is very light but can be increased depending on what fruits you use and how much you twist the fruit into the reamer. It's so much fun and definitely a conversation piece when you're out and about. We can't wait to try lots of unique combinations.